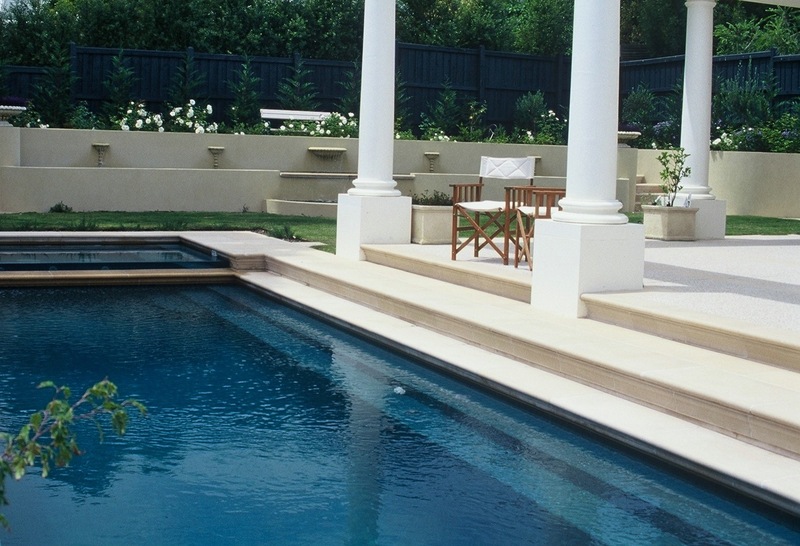 STONE’s earliest commissions were to provide bullnose coping solutions for swimming pools. 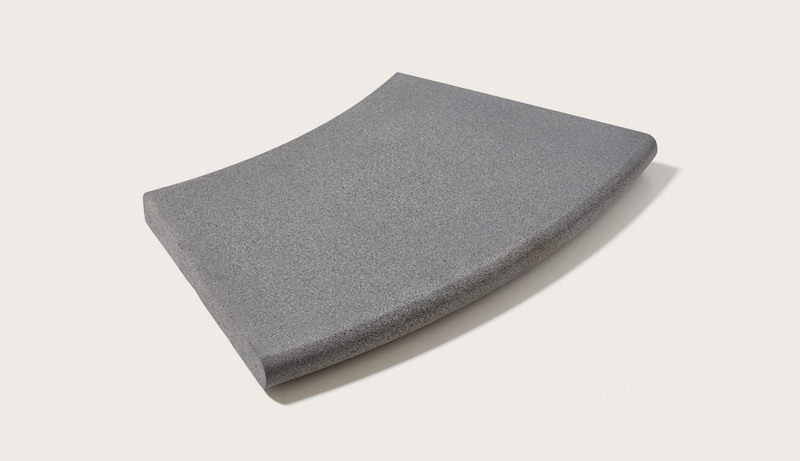 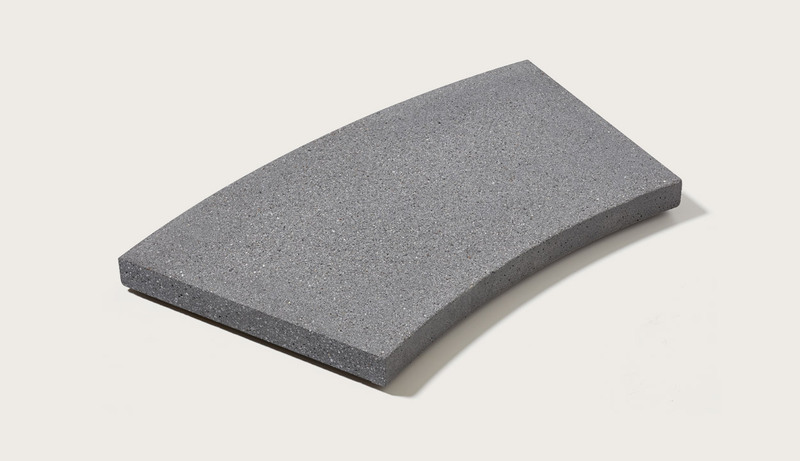 The classic Bullnose coping profile – with its soft curved edge is still popular decades later and is available in a variety of shapes, sizes and thickness. 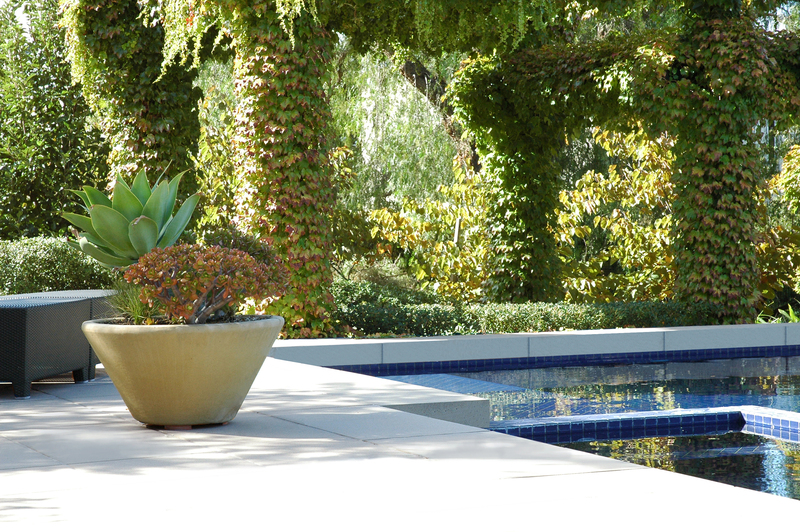 Spa beams, spill-overs and water features require specific product solutions, which STONE can provide. 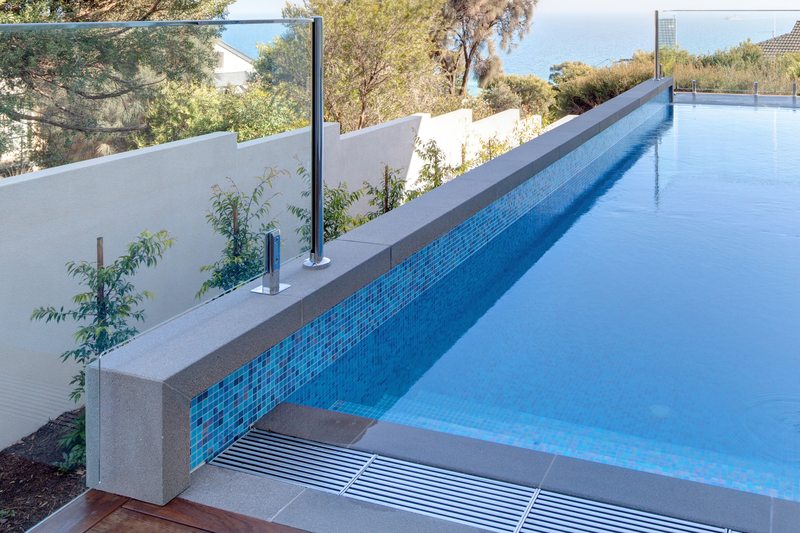 Each pool design is unique and so STONE offers a contemporary square edge coping profile for those who prefer clean straight lines. 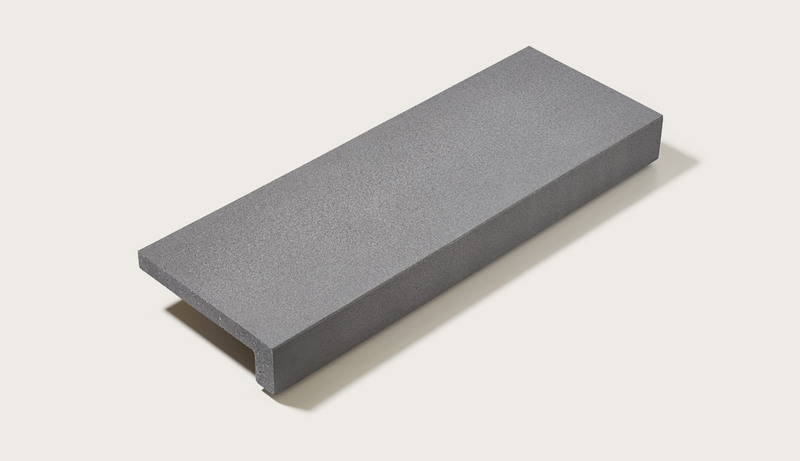 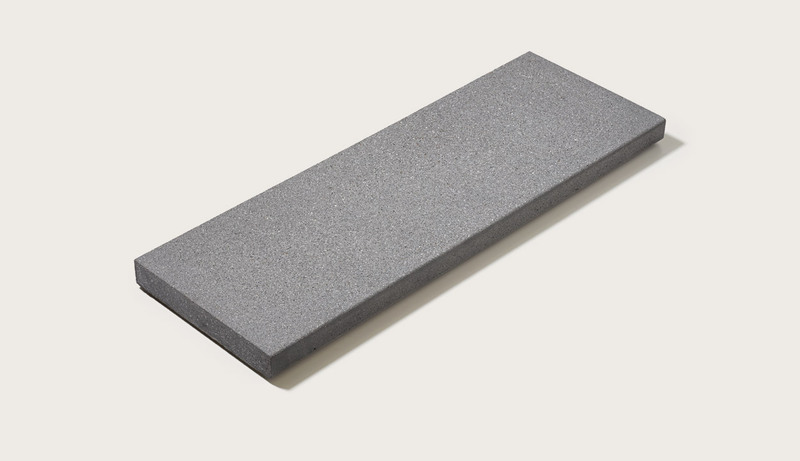 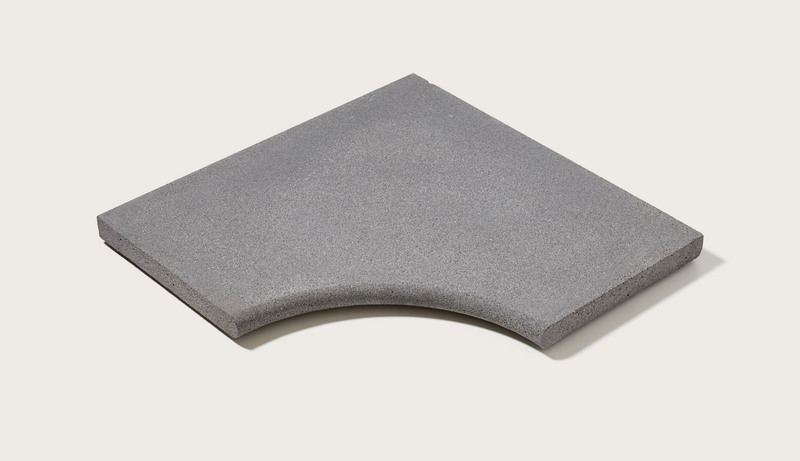 Our coping comes in a variety of thickness – from a thin tile look through to solid and chunky. 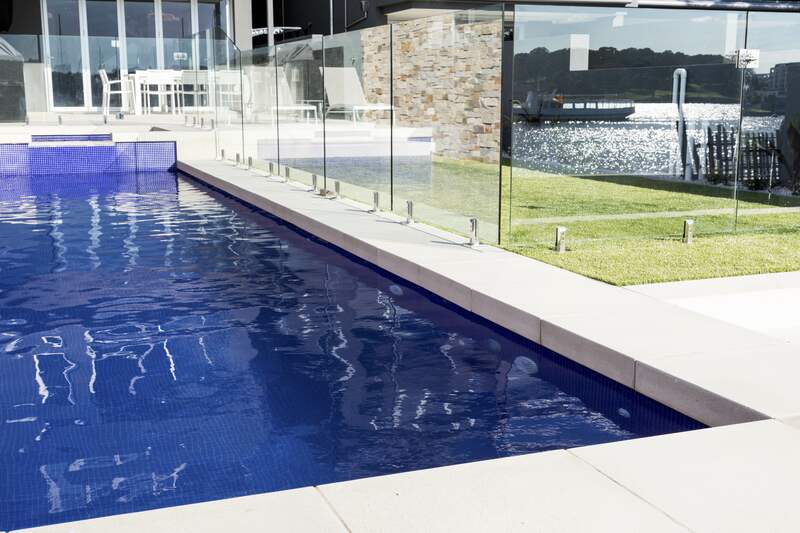 Spa beams, spill-overs and water features require specific product solutions, which STONE can provide to work with the square edge profile. 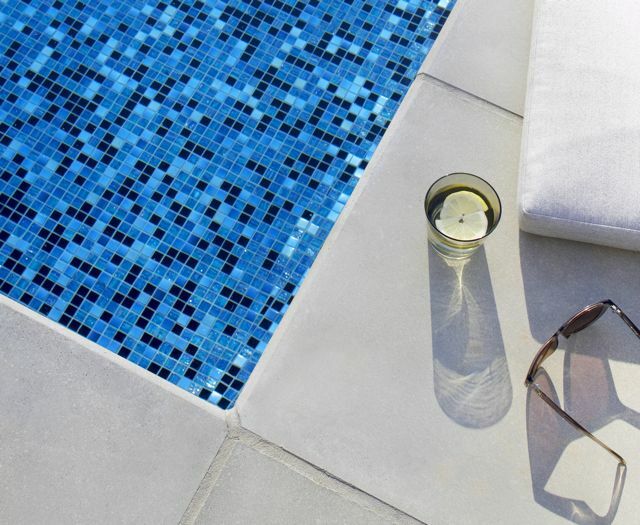 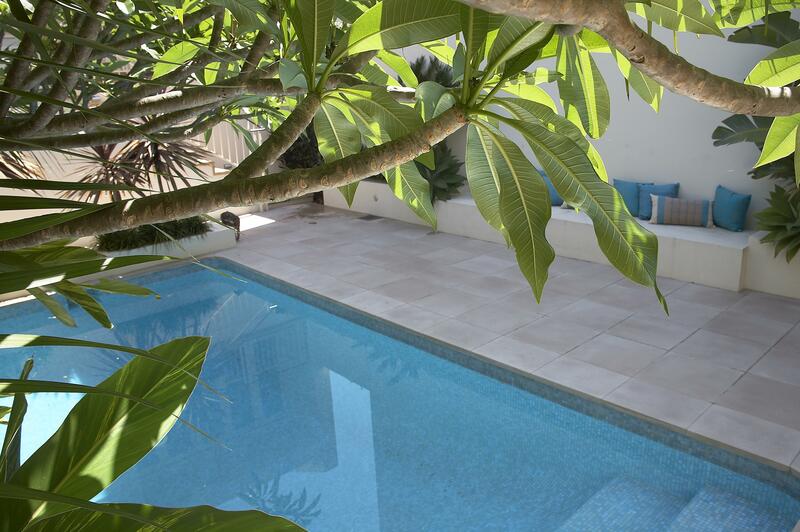 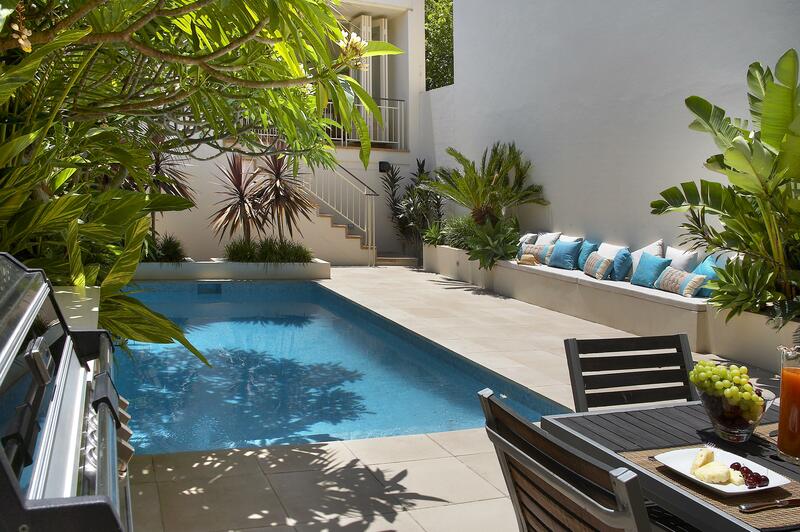 All of these considerations in a vast array of sizes means STONE allows for design freedom poolside. 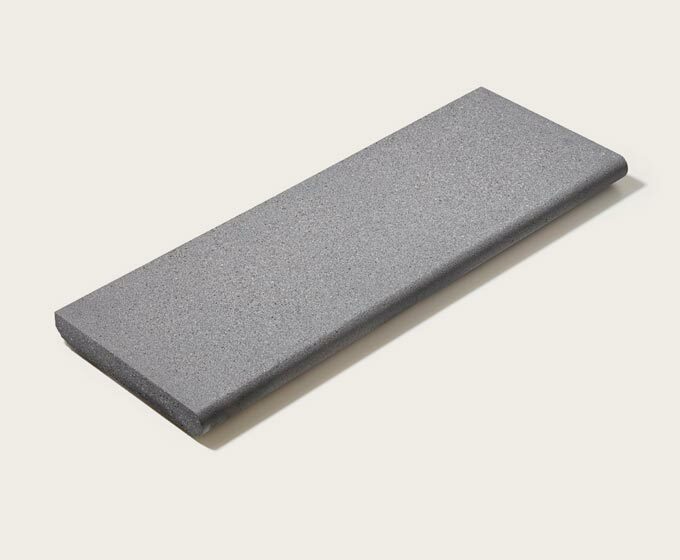 STONE’s concrete rebate coping is ideal for keeping the details crisp and clean. 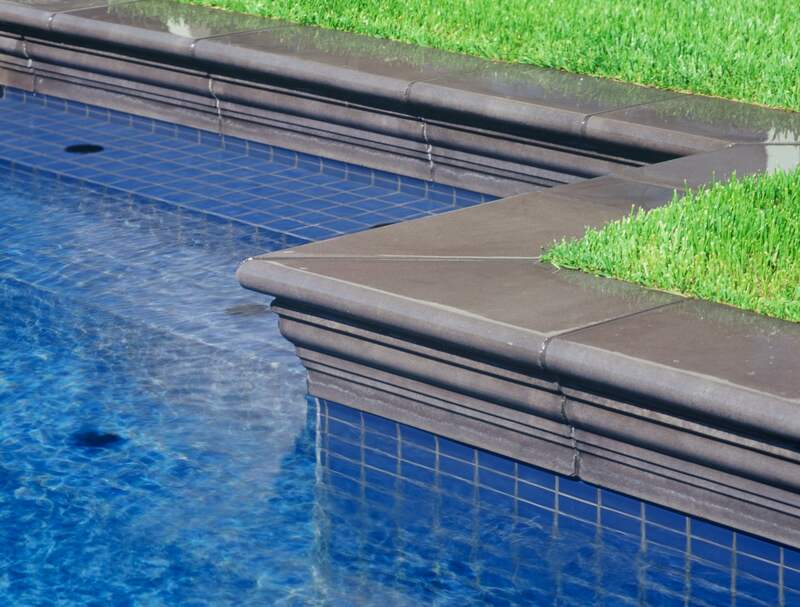 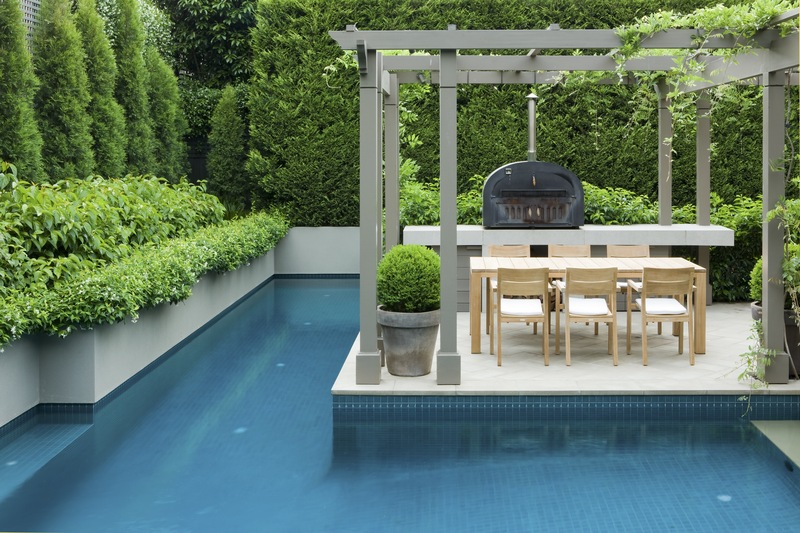 Rebated coping is designed to drop down over the edge of the pool with the concrete surface extending right down to the waterline – a small detail that makes a big difference. 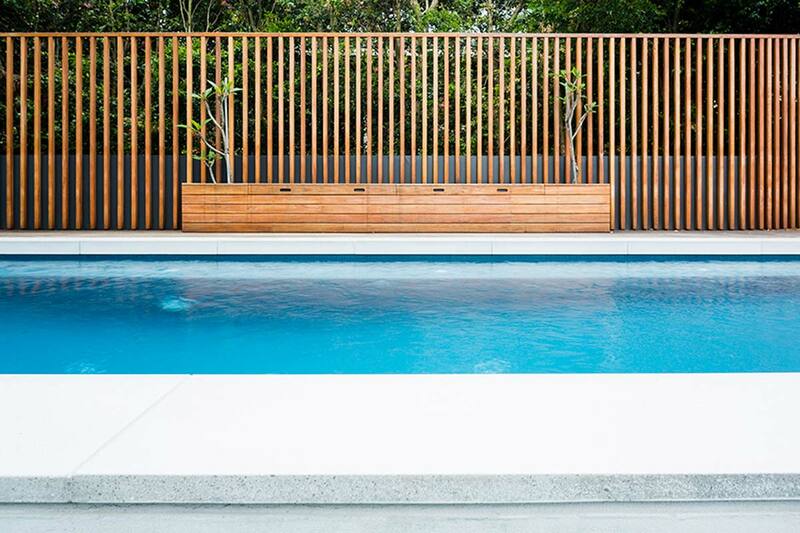 Details make the design, and corners are important details. 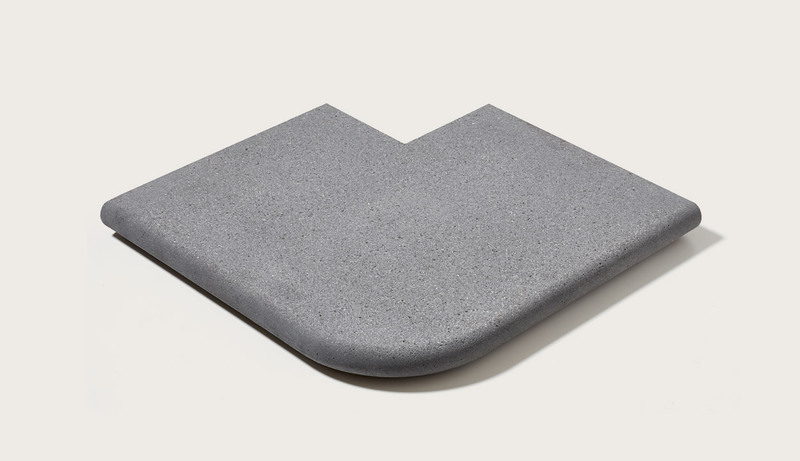 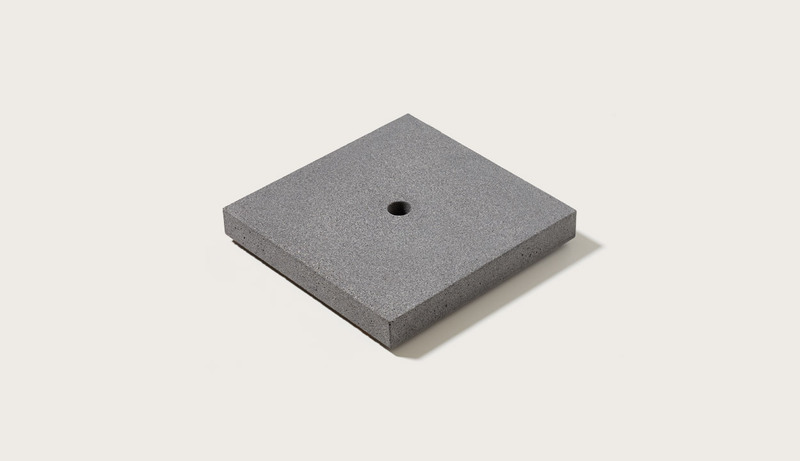 STONE has concrete coping options specifically shaped for corners in all types of pools and spas including fiberglass and prefabricated pools. 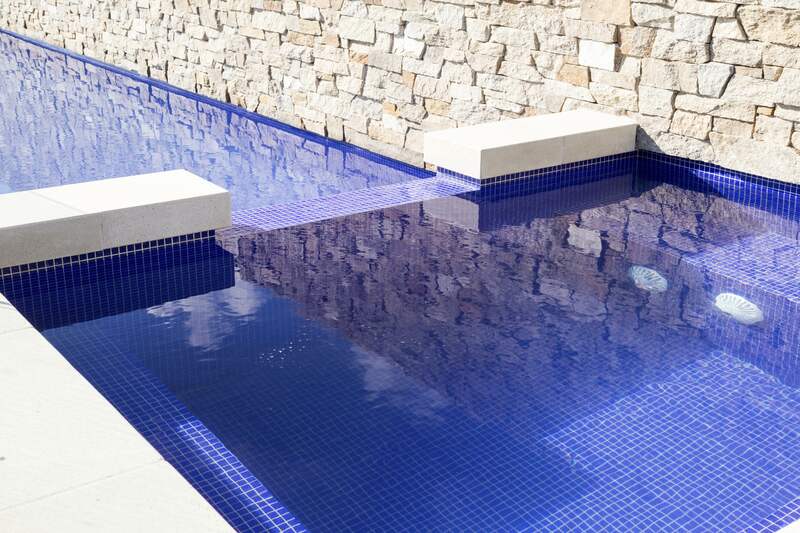 Excessive mitres and grout joints can be visually distracting so STONE offers concrete corner units crafted to fit each unique poolscape. 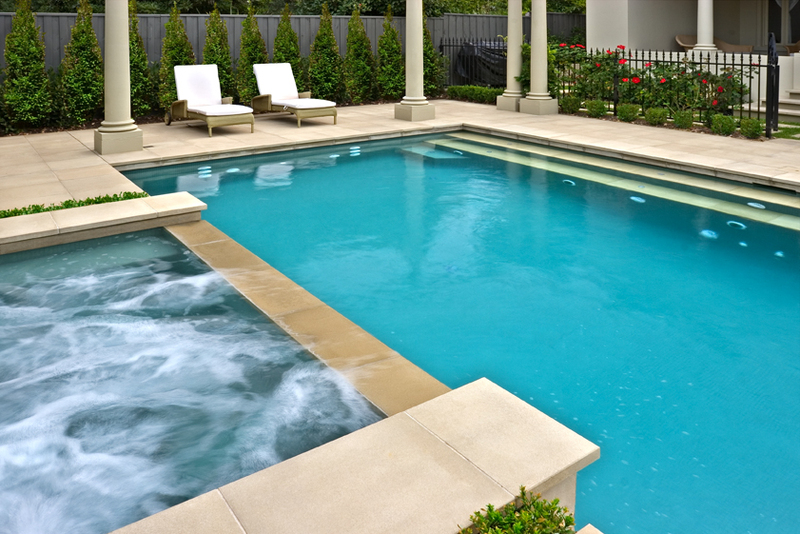 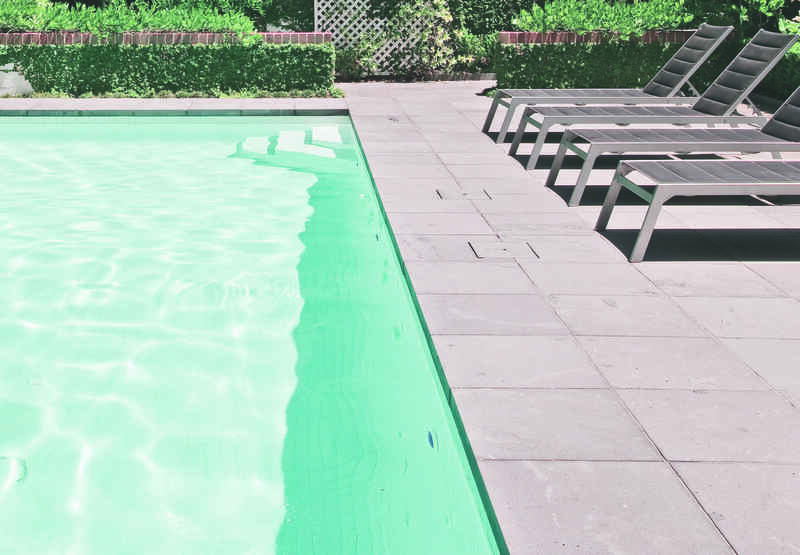 Beautiful curves can be a pivotal feature of a great pool design. 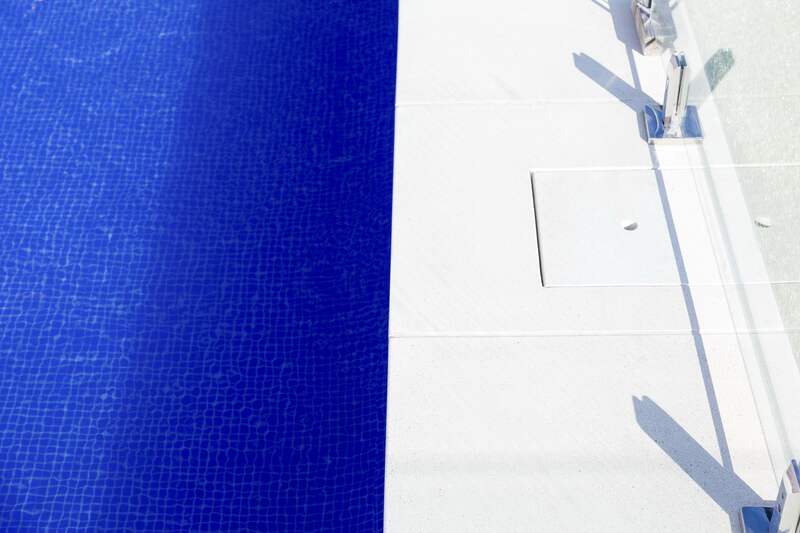 Details make all the difference when it comes to the execution of a poolside curve. 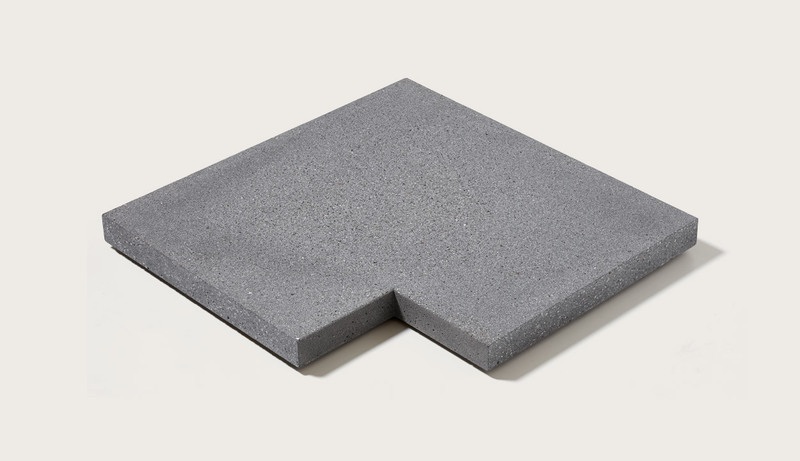 Standard coping just doesn’t fit without mitres and extra grout joints. 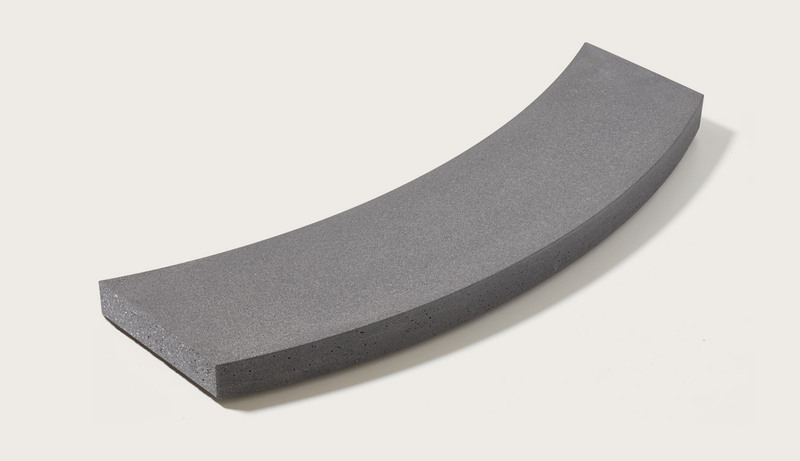 We believe curves should be flowing and smooth so we make STONE curved coping to fit the pool design. 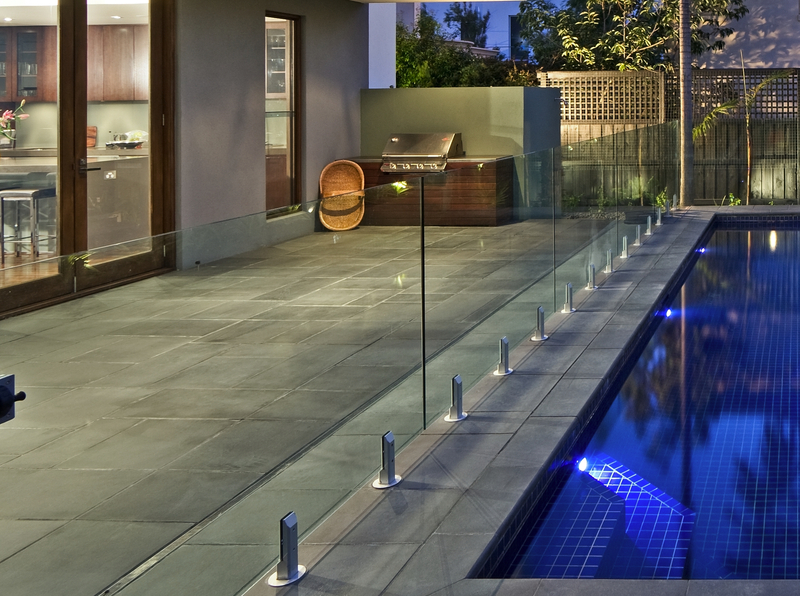 At STONE we are inspired by the way great designers treat functional features such as grates and drain covers. 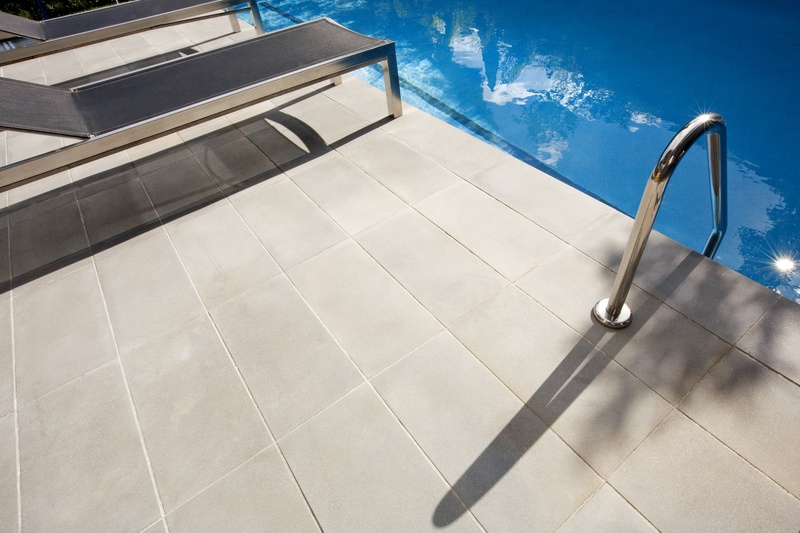 The standard plastic skimmer drain covers are unsightly and distract from the pool design. 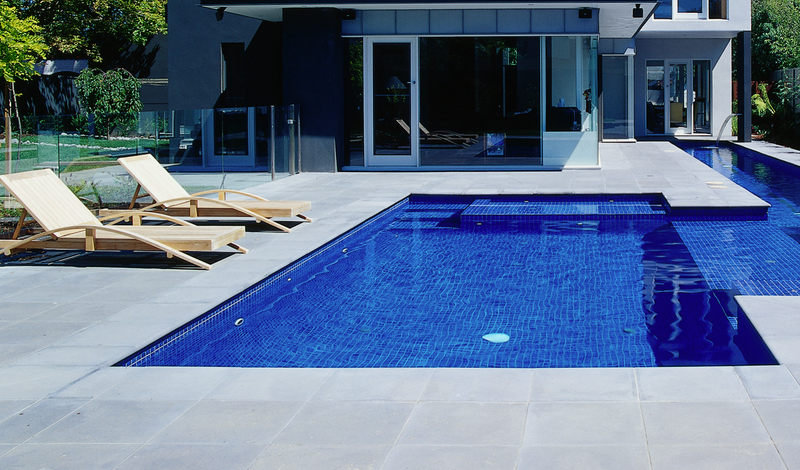 STONE makes integrated skimmer covers that are incorporated in the paving design and allow discreet access to the pool drain.